Applicants are required to submit five poems or one short story or a one-act play in Waray, Sebuano, Inabaknon. Luzon fellows can submit in Ilocano or Bicol or any language from the Mt. Province with English or Filipino translations. Applicants must also submit a biodata, two 2X2 ID pictures and a certification of originality of one’s work signed by a senior writer/cultural worker/ barangay captain/notary public. A hard copy and a CD of the manuscripts encoded in MS Word (Arial, 12 points, 1.5 spacing) must be submitted to the secretariat. Applicants with no workshop experience are given priority. 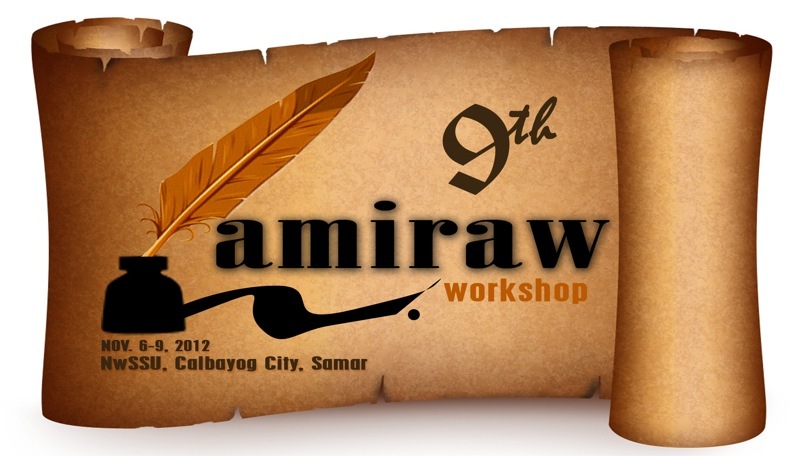 Deadline for submission is on August 15, 2012. The Lamiraw Application Form and Certificate of Originality may be downloaded at www.panitikan.com.ph or www.ncca.gov.ph. For inquiries, contact Phil Harold L. Mercurio, Selection Committee Chair, at +63.917.7982781 or email at lamiraw@yahoo.com.